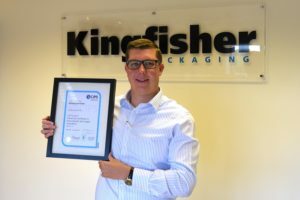 Along with many leading companies around the world, we see our staff at Kingfisher Packaging as the cornerstone to giving an excellent customer experience and that’s why we have always invested in professional staff. 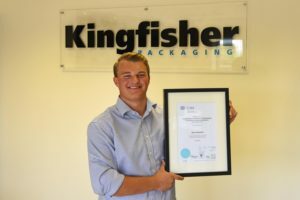 We are proud to announce that just recently, four of our team members have received some excellent results in their extra-curricular courses, voluntarily taken with the support of Kingfisher, giving them qualifications that relate directly to their job roles. Josh, Deputy Purchasing Manager, has just passed his CIPS Level 3 Advanced Certificate in Procurement and Supply Operations with flying colours. This now helps Josh to have even better relationships with our vast network of suppliers, to ensure our customers receive the best quality products and have access to the most suitable packaging for their products. In addition, Ross, our Marketing Manager, received his award with a distinction in CIM Level 3 Certificate in Marketing (Customer Communications). With a greater understanding of how to discover the changing needs of our customers, this qualification also helps Ross to ensure our customers are aware of the latest innovation and industry trends as well as showcasing our extensive range of packaging products and machines, keeping our customers up to date with the most efficient and cost-effective packaging methods. 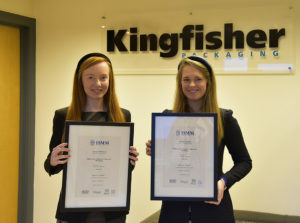 And more recently, our two sales support executives Georgia and Georgina have both passed the ISMM Level 3 Diploma in Sales and Marketing course. To ensure the best customer experience, we continue to invest in the training and the future of our sales staff. Trained to give you, the customer, the best possible service. We recognise these are fantastic achievements and would like to extend our congratulations to them all.